Sikkim has often been referred to as the Scotland of the east. 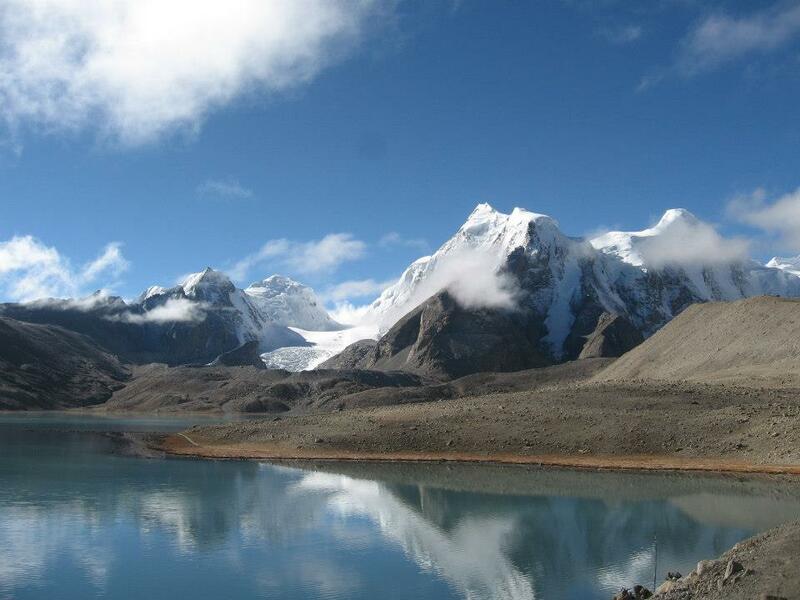 Gurudongmar Lake, revered as a holy spot by Hindus and Buddhists alike, is one of the spots where this comparison seems perfect tly justified. Located at an altitude of 5210 metres, this is one of the world’s highest lakes and is just 5 km south of the Chinese Border. The terrain is harsh and almost uninhabited; the lake is a long drive from Gangtok. But the picture postcard setting of this milky white lake, surrounded by mountains, is totally worth the arduous trek.